Corporate investment decisions are justified through business cases in practically all organiziations. But many business cases are based on unrealistic assumptions; they wrongly quantify costs and optimistically estimate benefit. In short, they are the real reason for many wrong investment decisions. Do you feel you are playing roulette - or could you actually get better odds doing exactly this? Scrutinise your business cases to ensure right decisions are being taken. Taking the right investment decisions is key to the economic well-being, if not survival of a business. We have built many compelling and robust business cases in our life as business consultants and line managers, mainly in the areas of sourcing decisions, service centre consolidations, and customer relationship management initiatives. We know how to get stakeholder buy-in, we have the business and technical background, we speak the language of the CFO and, last but not least, we know the business case maths in and out. We know which pitfalls to avoid and how to put together a compelling business case presentation using the technique of storytelling. In short, we can help you avoid the two most common killer arguments of any business case: 'I don't believe it' and 'I don't understand it'. 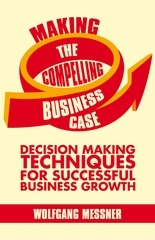 Making the Compelling Business Case. Decision Making Techniques for Successful Business Growth. Houndmills: Palgrave Macmillan. Available in Nov 2013.
Business cases are both a tool and a process in financial planning and corporate decision making. This book increases your capability to champion corporate investment proposals, take them to senior management, and facilitate the decision management process by understanding the key theories and practices of finance and corporate investments. You learn how to formulate and present a professional judgment on potential corporate investments based on time elements of costs, benefits, risk, and strategic flexibility options. See the book's website for contents and downloads. In this interactive workshop you will learn the fundamentals of building a sound financial acumen, understand basic financial concepts, learn how to apply different calculation methods, examine cost categories, and learn how to quantify business benefits, risks, and flexibility options. You will understand the process of writing business cases, the peculiarities of justifying information technology investments, communicating with stakeholders, and presenting to senior management. Throughout the workshop you are going to apply your learnings in case studies. This training is for anyone involved in investment decision processes; CIO, CFO and staff; business unit heads; marketing managers; project managers; and business consultants. It is designed as a one-day intensive seminar or a two-day masterclass with a lot more insight information, examples, and exercises. Training II: Business Case Led Selling: How to get the CFO to say yes! This version of the training is especially designed for account managers and sales people who want to say good-bye to the old way of feature-laden presentations and want to attempt a new and fresh way of value-driven selling. This seminar can be delivered as a 4-hour introductory course or a more intensive full-day variant. It is best followed-up with tutoring or consulting. 09:30-10:30 How Does the CFO Think? 10:30-11:30 What Language Does the CFO Use? 11:30-12:45 What Makes the CFO Finally Say YES? A tutoring session (sometimes also and not quite accurately referred to as coaching) is designed for individuals or small teams who have a short-term need to deliver results. Such a tutoring session will certainly contain some training elements, but it focusses much more on a concrete problem the team is currently facing. It enables the team to find a solution to this problem and build a compelling building case. It is different from a consulting assignment, where the consultant would build the business case for the team. In a tutoring session, the team actually builds the business case and is ultimately responsible for the results; as tutors we provide the method and tips & tricks which help to steer the business case project in the right direction. Please see our testimonials for training programs conducted by GloBus Research. Maximizing value for the enterprise, for its shareholders and for its customers – this is at the core of corporate business. And making this happen by extracting value from investments is what management is all about. Yet, managers continue to pour billions of dollars, pounds or euros into projects with uncertain outcomes. 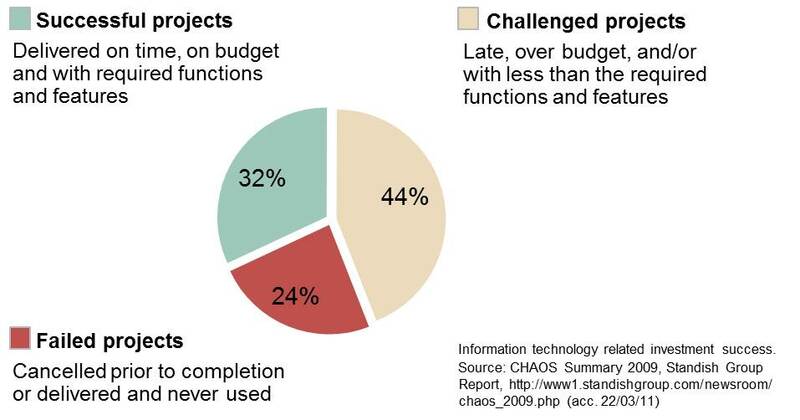 Studies continue to show a scary high number of project failures, missed delivery goals and cost overruns. While the information technology sector seems to be leading the pack, many other investment areas are less openly scrutinized. Many of us feel we are playing roulette with our decisions – or could actually get better odds in our decision making process doing exactly this. And last but not least, reduce politics and friction through stakeholder involvement, as well as increase the senior management buy-in through objective reasoning. Hence, investment justifications through business cases are multi-faceted. They are both about careful mathematical calculations and percentages, as well as about politics, psychology, and conversations with stakeholders. They need to obsessively focus on turning perceived intangible benefits into hard numbers, bold but verifiable, and holding the commitment of the organization. Most people who argue against formal investment decision methods are only criticising the way in which these methods are applied, but rarely the underlying processes or methods themselves. Net present value is the most appropriate approach to calculating business cases. However, people often fail to understand the simple mathematical rationale of the time value of money, which is behind calculating NPV. Instead, they perceive some other methods as methodically easier to understand, apply it instead, and in this process often mess up the correctness of the calculation. Alternative methods such as payback & discounted payback, return on investment (ROI), internal rate of return (IRR), profitability index, and benefit-cost ratio have their own strengths and weaknesses. Sometimes they are indeed appropriate to use, but the same decision can always (!) be reached with the much more straight-forward net present value method. Top management and the investment decision governance board typically uses not more than four decision criteria for evaluating a business case presentation. Net present value. 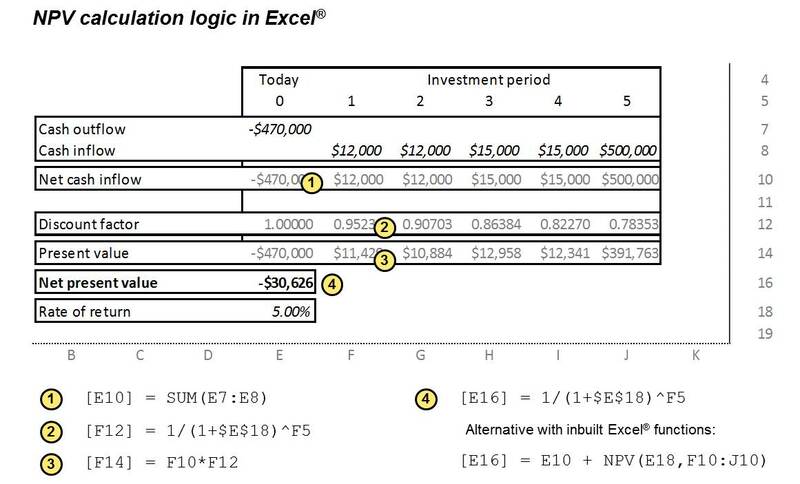 Does the proposed solution have a compelling net present value argument? Have alternatives been considered? Business problem and its impact. Do we have a clear understanding of the business opportunity or problem? What impact does the proposed investment project have on the organization? Resource capacity and experience. Does the company have the knowledge to deliver a quality business solution? Measuring implementation progress. How can the value of the solution be identified? How do you determine when the value is delivered? How do you know when the implementation was a success? In order to come to a management decision, in most non-hierarchical corporate cultures, a consensus of understanding and commitment on part of the principal stakeholders is very important. This consensus would have been achieved during the business case process through resolving differences and conflicts of interest through research, evaluations, discussions, and re-iterations. 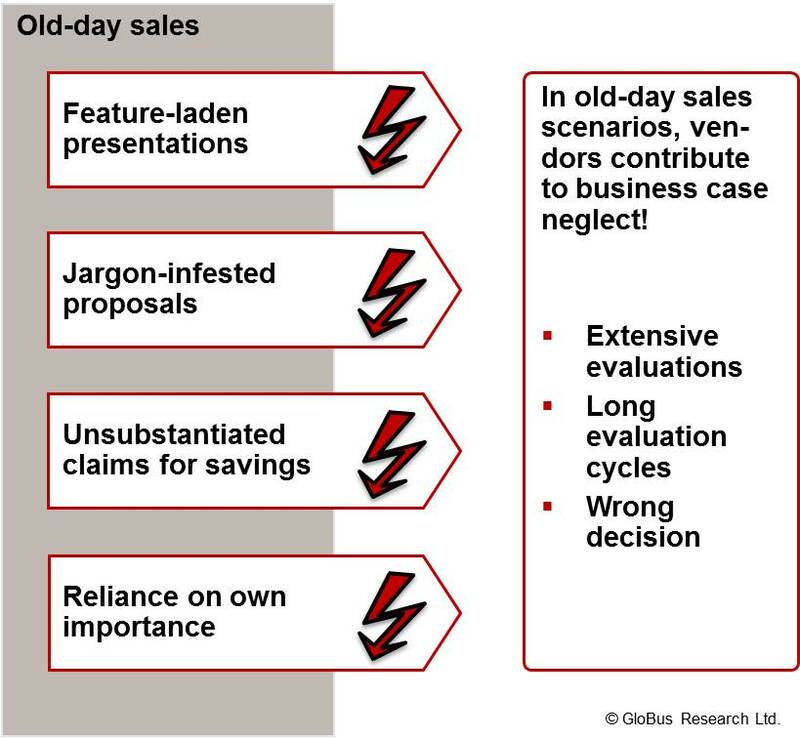 About two third of all organisations have standard business case templates in place, but most of these lack critical components reducing investment decisions to fuzzy, qualitative, and potentially incorrect guesses. A good business case report, which brings confidence and accountability into the field of making investment decisions, is a compilation of all information collected during enterprise analysis and the business case process. The key purpose is to provide evidence and justification for continuing with the investment proposition. .. .. Copyright © 2015 | GloBus Research - Messner Consulting & Training Pvt. Ltd. | All rights reserved.